I write about many subjects typically surrounding my kids, including fundraising, gifts for children, vacations, and boy scouts. My family and I have traveled to Orlando, Florida, four times in the last three years. On our second trip to Orlando, we drove from Naperville, Illinois. The year before, we flew on United Airlines, and earlier this year we flew on Southwest. 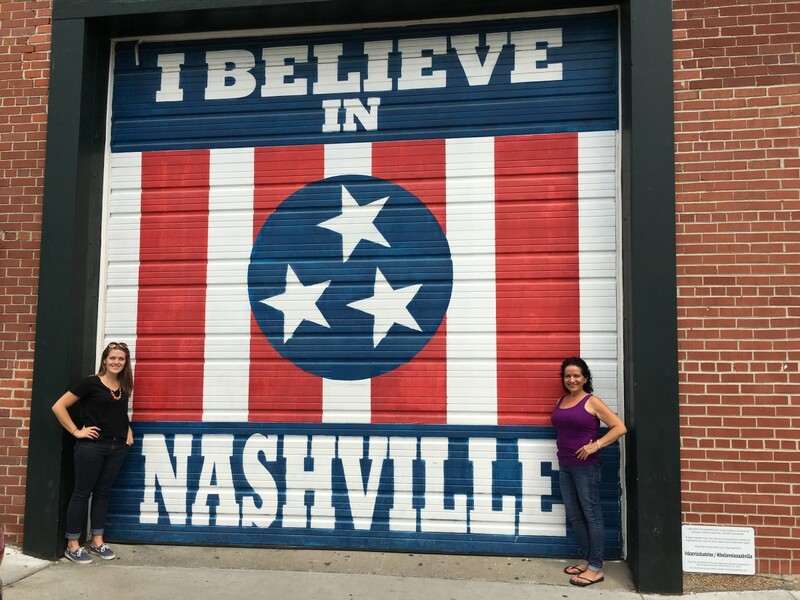 This article depicts our most recent road trip. In this article, I will describe some of the sights and scenes we stumbled upon along the way and some tools we used to arrive at our destination. My family does not take the normal driving routes to Florida because we take our time to stop for adventures. We normally try to visit a cave or a historical battlefield; luckily, this trip provided one of each. 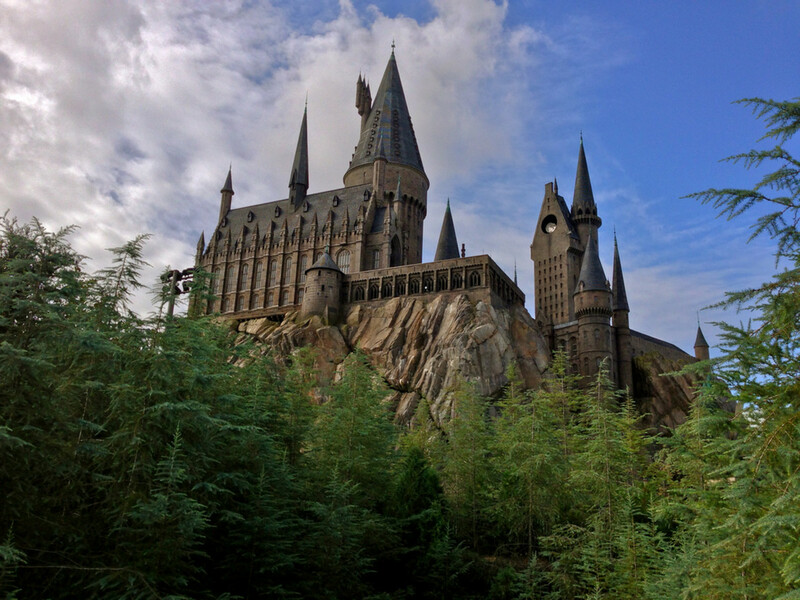 In this article, I cover my family's second trip to Orlando, Florida. The first time we flew and rented a house with a pool. On our second trip, we drove. The following are the places we have been to in and around Orlando. There is a lot to do and see there! 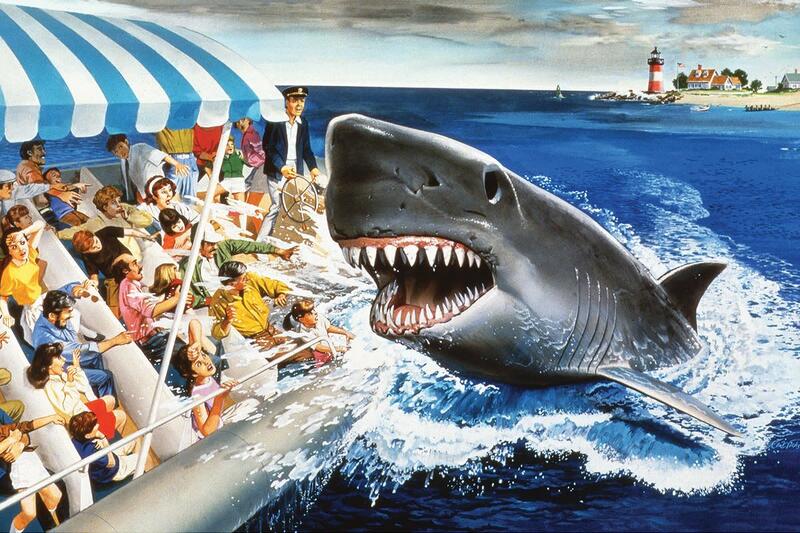 Below, I have rated the attractions in order of when to see them, Sea World being first (in my opinion). 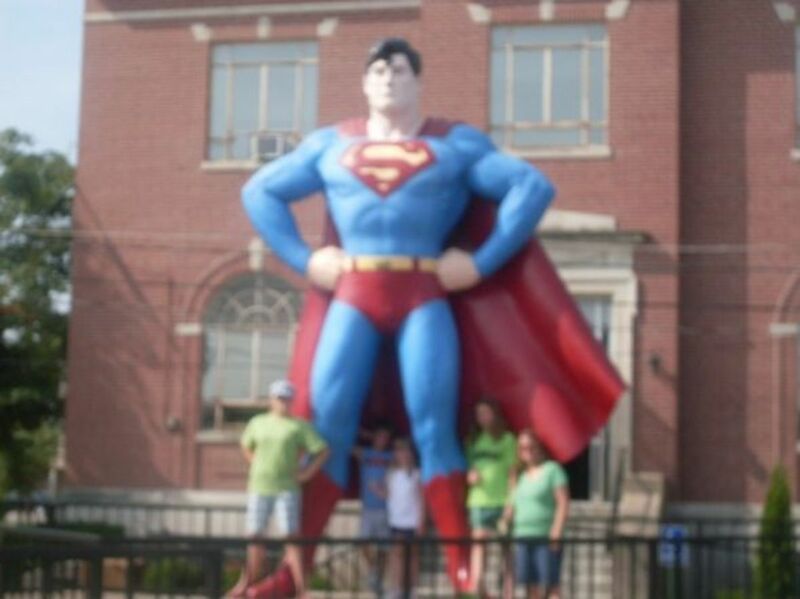 Giant Superman statue in Metropolis, Illinois. As far as planning for a vacation goes, it is helpful to start months—maybe even a year—ahead of time. Once you answer the questions below, you can start planning your trip. 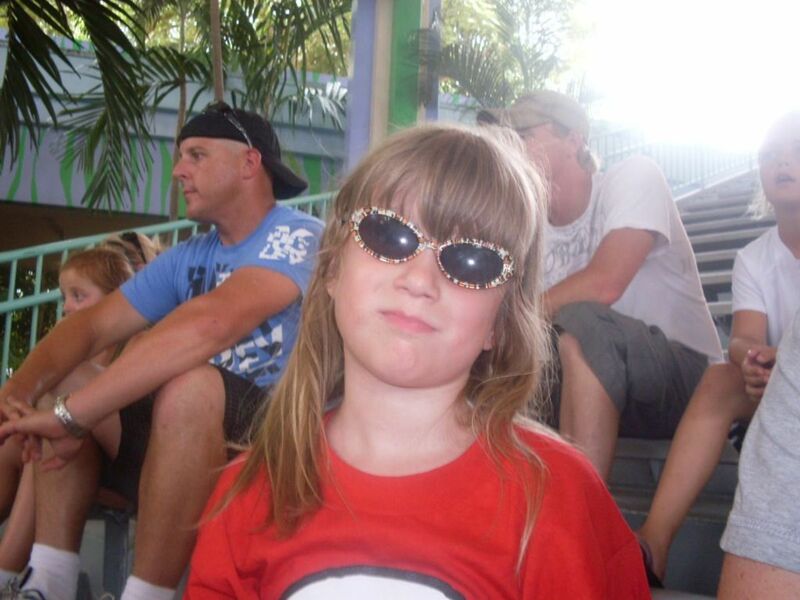 For example, my family and I knew we wanted to go to Universal Studios and Disney's Animal Kingdom. We also knew we were traveling around June, after the end of our children's summer sports, and before the next school year started. We were driving, meaning our trip allowed room for other activities if we wanted to extend our stay. Therefore, we knew where, when, and how we were traveling. In January, we began looking for deals to the various places we wanted to explore, arrangements for park admissions, combo hotel/park admissions, all-inclusive deals, etc. 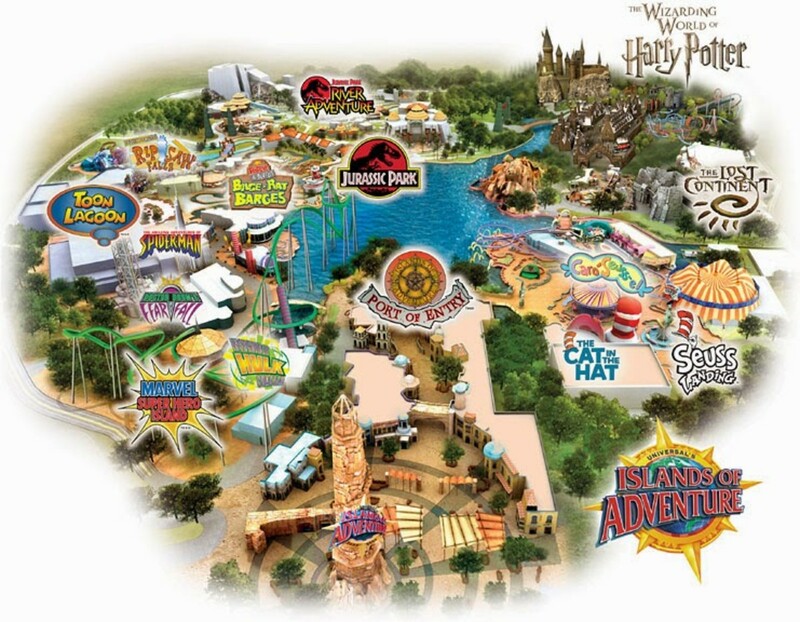 We ended up with a "Universal Package" that included five nights at a hotel and park admissions to Universal's Islands of Adventure and Universal Studios. Note: Driving is not always convenient as it can be time-consuming. A year before this trip, we found cheap flights on United Airlines and decided to fly down to Orlando. We then rented a house with a pool and bought our admissions tickets online. Where do you want to go? We decided on Orlando, Florida, because my family and I took a vacation in Orlando the previous year, and we decided to vacation there again for this trip. When do you plan for the vacation? We decided to start planning in late July or early August. How long do you want to stay there? We decided four to seven days would be enough time for us. What do you want to see while there? Planning what you’d like to see during your visit will help determine the length of your stay. How are you going to get there? For this trip, we drove our car from Chicago to Orlando. If driving, how many days will it take? Based on our route, it took us two to three days. Can you see everything? No, probably not. To get around this, we made a list and prioritized. Where are you going to stay? For this trip, in particular, we stayed at multiple locations, including a hotel, a motel, and a friend's house. 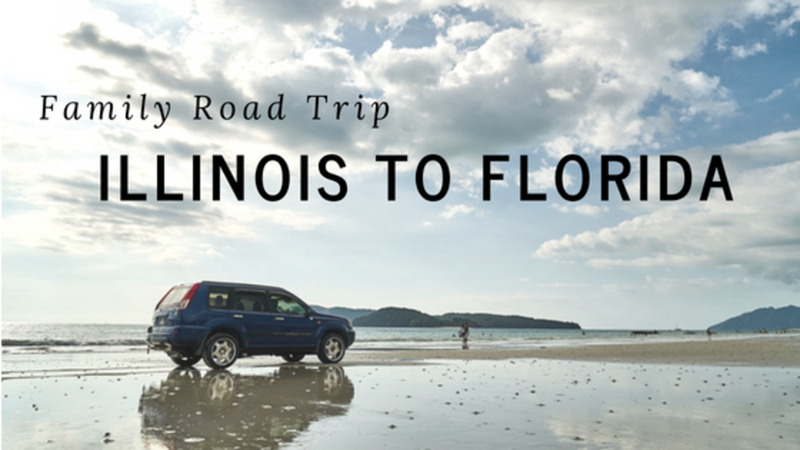 Since my family and I have driven to Florida from Illinois once before, it was easier to plan a trip a second time around. Tools such as Google Maps and MapQuest are great when planning. For this trip to Orlando, we decided we would have city goals and determined where we wanted to stop along the way. Good thing we did! One question—and this involves the whole family—is how long you want to drive per day. Our family can handle 5-8 hours of driving per day. On an 18-hour trip to Orlando, that means two stops. The question is, where do you stop and when? When we stop, we try to stay somewhere we know. That way, we are more determined to do something the next morning before driving again. We do like to see the United States! We don't necessarily take the most direct route, because part of the fun of driving is seeing the United States. Whether it's a cavern or cave in the mountains, or the 20-foot Superman statue in Metropolis, Illinios, it is a lot of fun to go off the beaten path. For this trip on the way to Orlando, Florida, we made a plan to stop in Knoxville, Tennessee; Savannah, Georgia; and Jacksonville, Florida (this stop was necessary due to the fact that our hotel reservations in Orlando were from Tuesday through Sunday, and we had to stop somewhere Monday night). It made sense for us to stop in Jacksonville as we visited family there and didn't need to stay in a hotel. 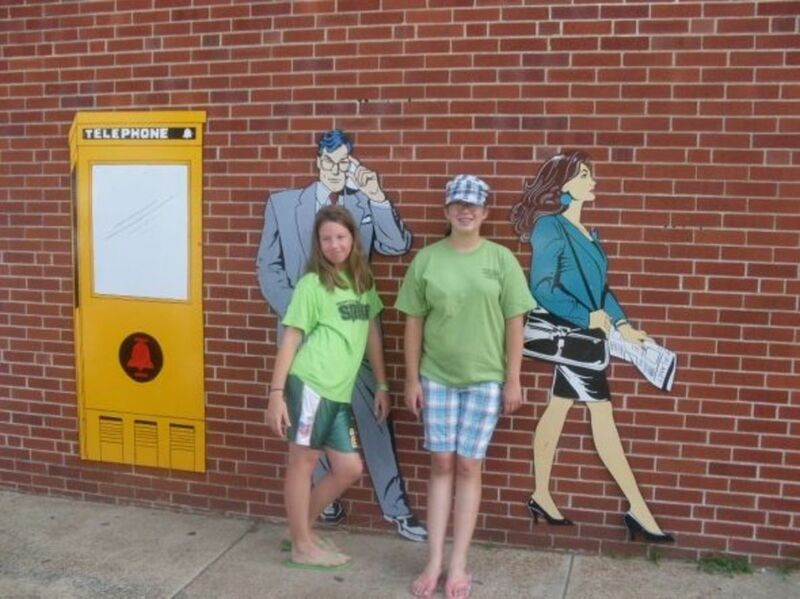 On the way home to Naperville, Illinois, we decided to stop in Chattanooga, Tennessee, and Metropolis, Illinois. We don't necessarily take the most direct route, because part of the fun of driving is seeing the United States. On the Friday before we left for our trip, we drove down to my wife's parents' house, and they surprised us with a Garmin NUVI. If you don't have a navigation system in your car or don't already have one, get one. The Garmin NUVI not only helps you with your route, but also allows you to look for restaurants when you're hungry, or hotels when you are ready to stop. The navigation from the Garmin was almost perfect, though a couple of times the directions it provided were incorrect, mainly due to construction zones. You want to know where you are going on long drives, and the Garmin will help you get there. I am pleased with the size of the screen, the directions, and the up-to-date information from the Garmin. The model we use only has a car adapter, so you can only charge the battery through the car. I'm not sure how we would have made the trip without our Garmin, and it made for a perfect gift. Additionally, it is important to keep the passengers entertained on long trips. We have had our portable DVD player for years and just love it for long trips. If you don't have one in your vehicle, there are many portable models. We have four children, so a dual screen system that allows everyone in the van to see the movie is a must. The screens hang from the back of the seats and provide a great distraction during long trips. 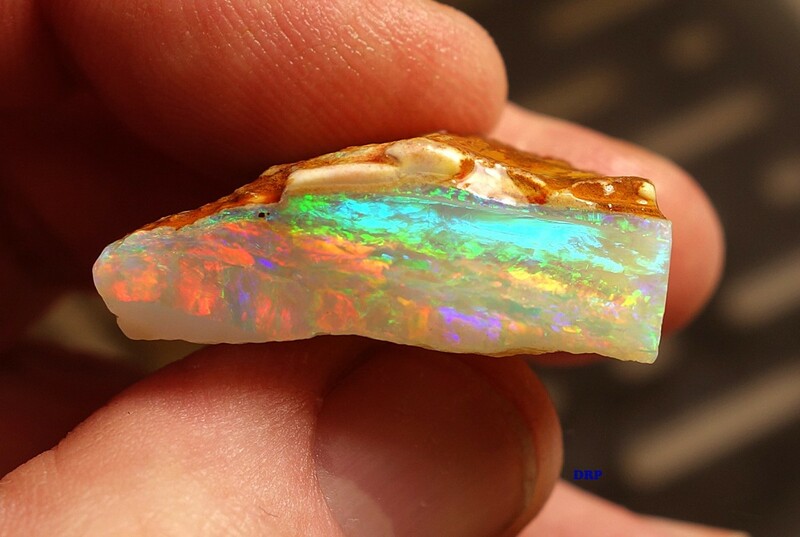 If you've never been mining, take an hour or two from driving and stop at a gem mine. The plan for our drive was to arrive in Knoxville earlier than we did, but unfortunately, a flat tire slowed us down. Thankfully, my roadside assistance came in handy, and I was able to fix the tire without much stress. Long story short, we didn't end up gem mining until the end of the second day, rather than the beginning of the second day as planned. Eventually, we arrived at Elijah Mountain Gem Mine near Asheville, North Carolina. If you've never been gem mining, here's the concept: you get a bucket of dirt, and using water, you wash all the dirt off and what is left should be rocks, gems, sediment, etc. You never know what you are going to find, and sometimes you get nothing. Fortunately, Elijah's has premade buckets with gems already in them. They also have buckets with Native American artifacts and fossils. Not really prospecting here, but the kids have a lot of fun as the sand sifts away and they see multi-colored gemstones. This stop was a few miles off the expressway into Asheville. Other gem mines are off the beaten pathways, so it depends on how much time you have to get to your next destination. The Chicagoland area celebrates Casimir Pulaski day. 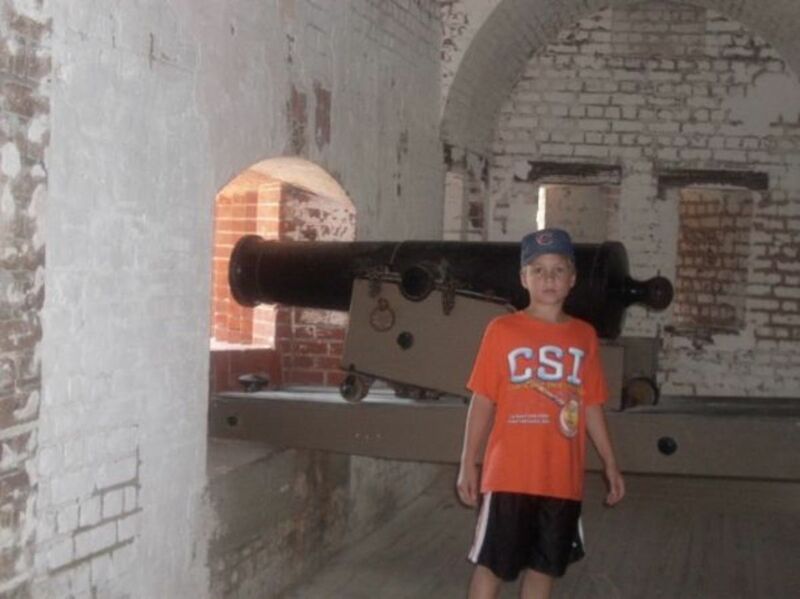 Being from the Chicagoland area and of Polish decent, it was a no-brainer to stop at Fort Pulaski in Savannah, Georgia. Casimir Pulaski was a general in the American Revolutionary War. 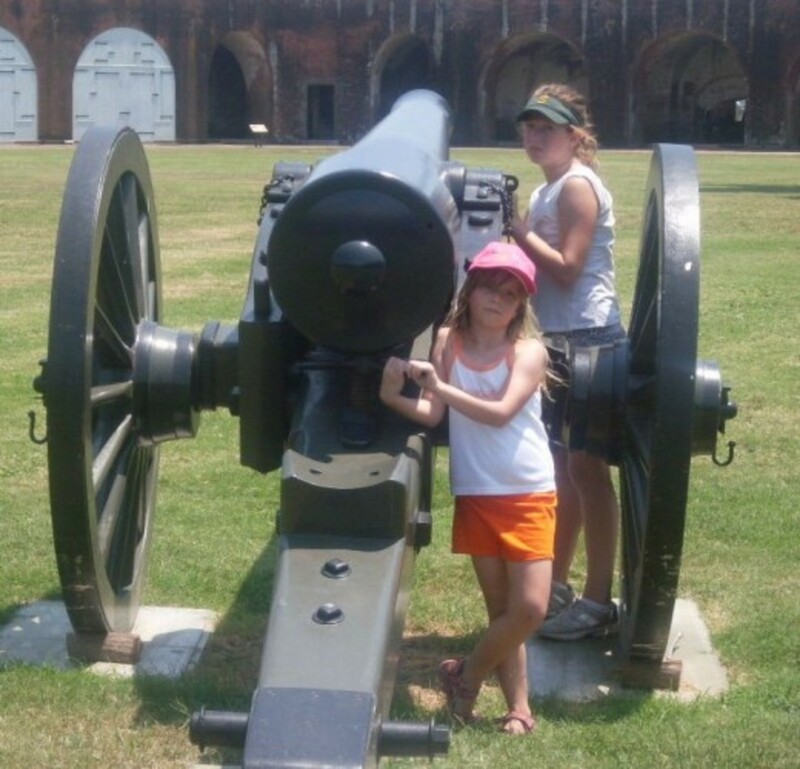 Fort Pulaski was built by the Confederate Army prior to the Civil War. 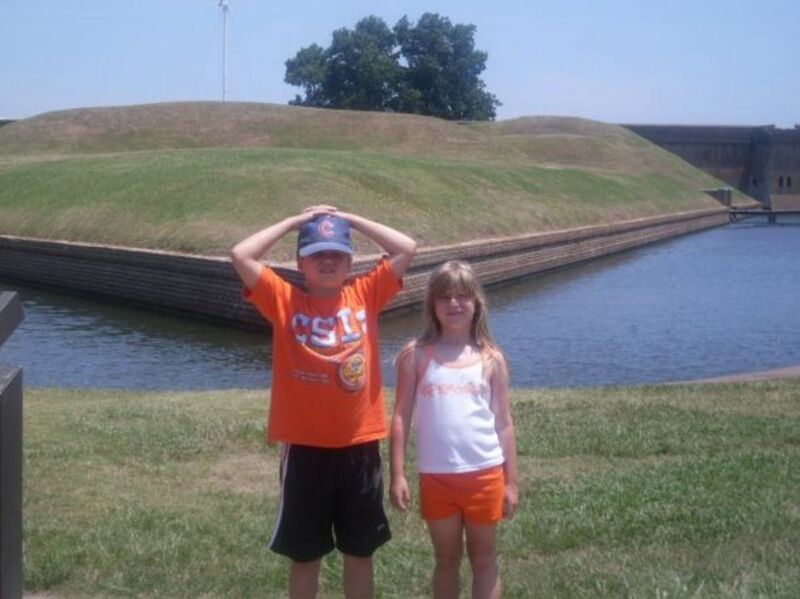 It takes about two hours to walk through Fort Pulaski. 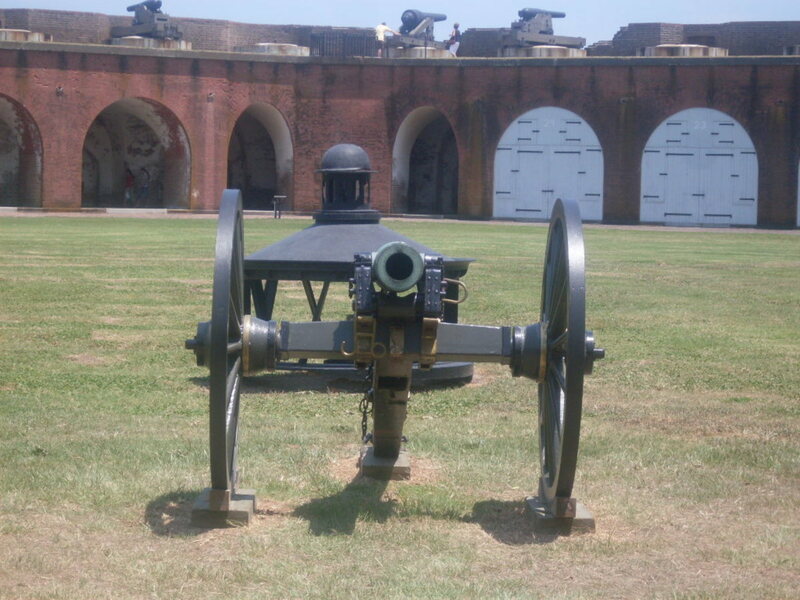 There are many Civil War cannons and fire cannons on the premises. Additionally, there are exhibitions almost every day. The $10 yearly pass was well worth the entry into this National Monument. 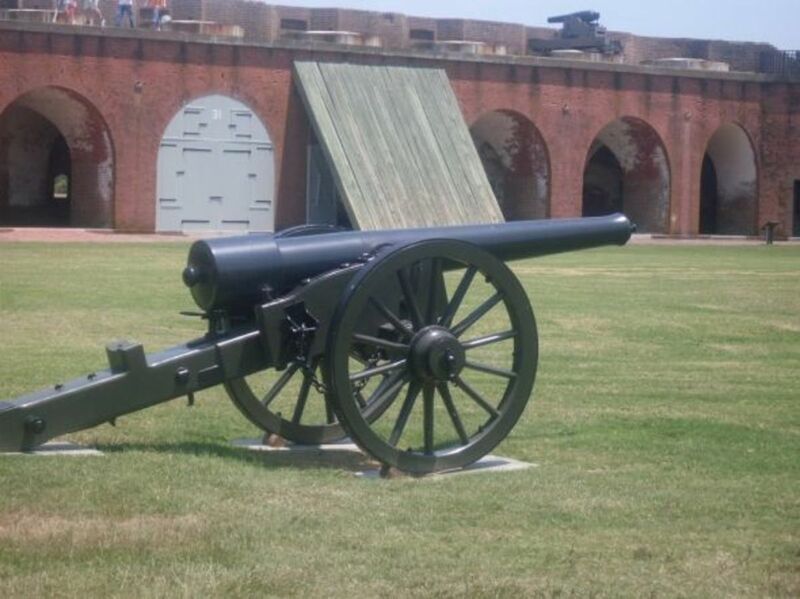 More information can be found at the National Park Service site on Fort Pulaski. 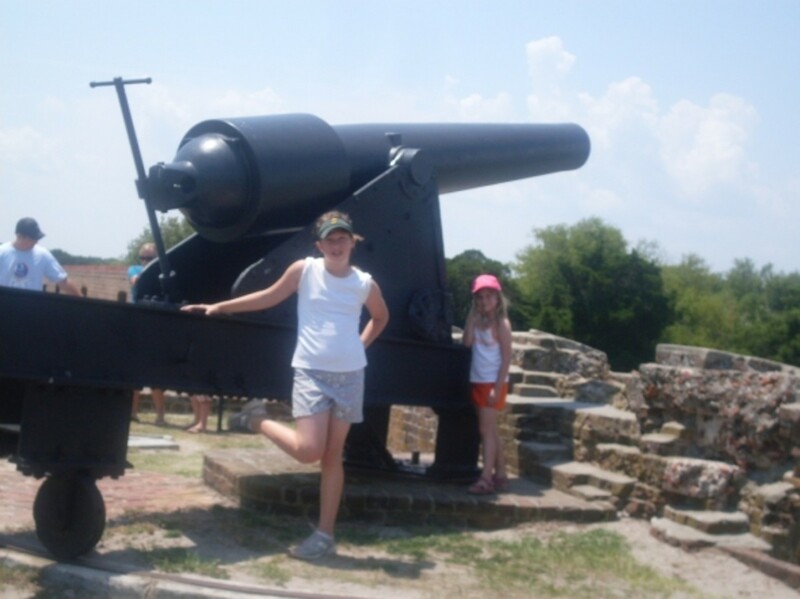 If you have the time and like old forts, Fort Jackson is another great stop on the way to Fort Pulaski. Another pose of the girls. Picture of Moat outside of Ft Pulaski. 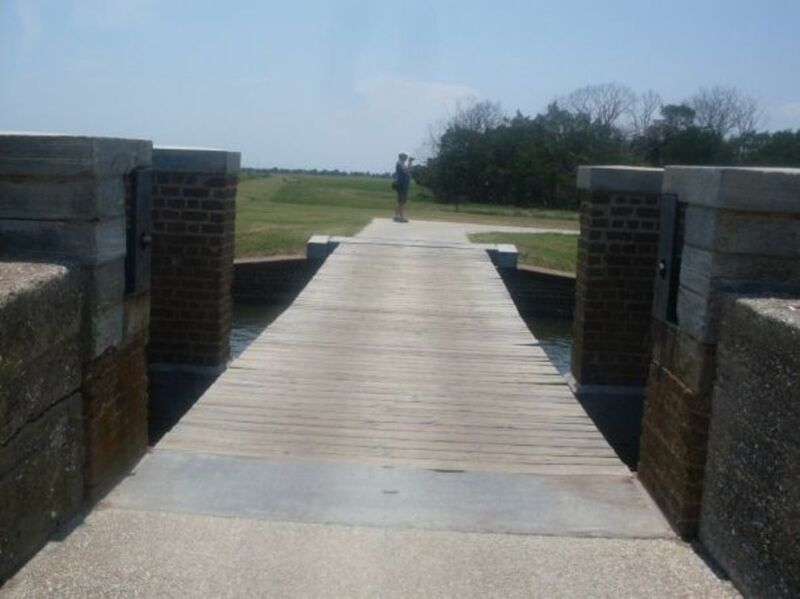 Bridge across moat to go inside Ft Pulaski. 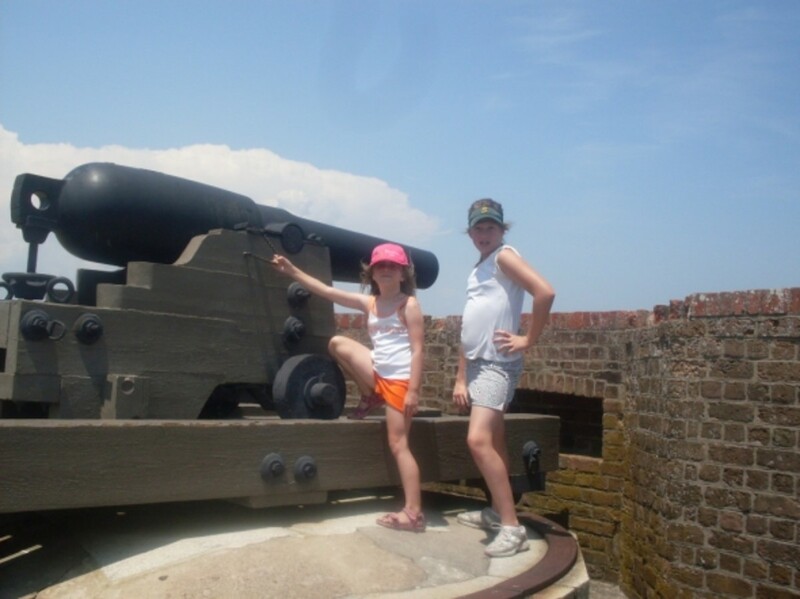 Girls posing in front of canon. 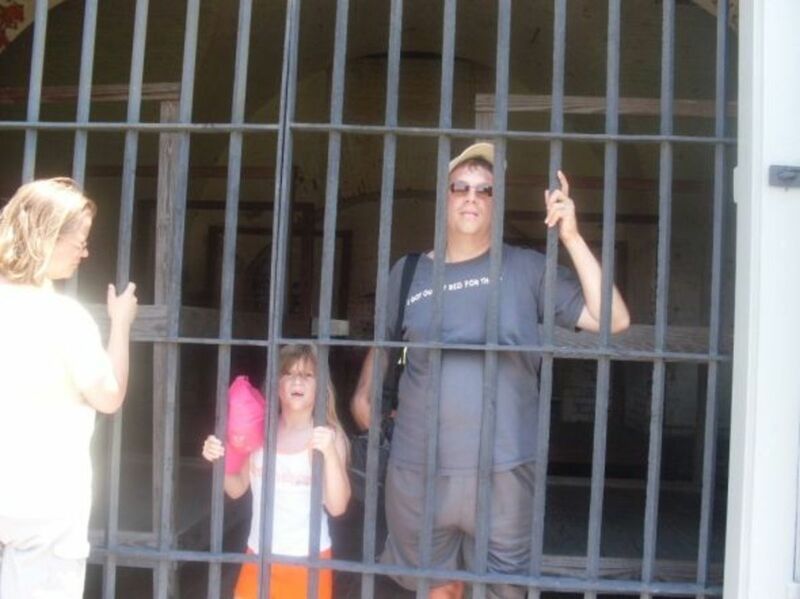 Dad and Olivia in Fort Pulaski's jail. 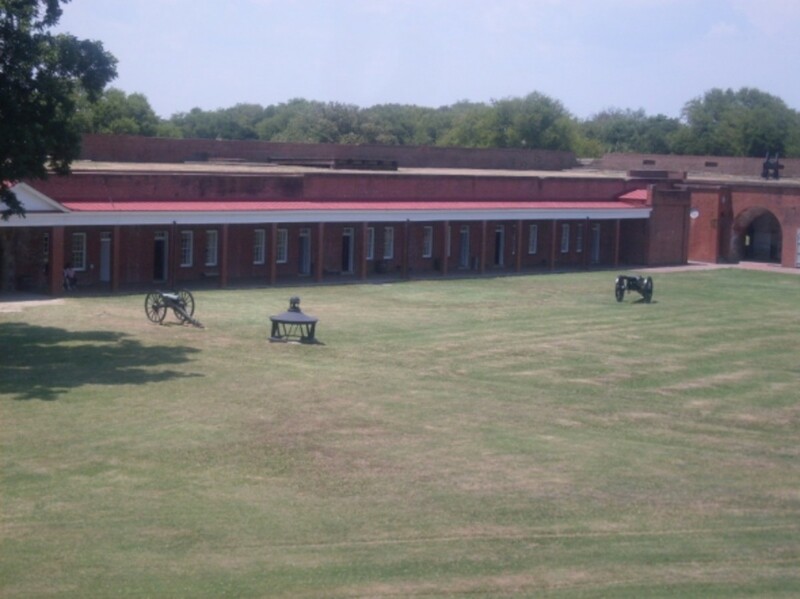 Picture of Ft Pulaski courtyard. We love exploring caves. This year on the way home from Orlando, we stopped in Chattanooga, Tennessee, at Ruby Falls. Ruby Falls is a waterfall that is under a mountain. The only way to get to it is by taking an elevator 200 feet under the earth and walking about 2/5 of a mile to the waterfall. Of course, this is all part of a tour that takes you to Ruby Falls. More information can be found on the Ruby Falls website. So I must admit, I planned the stop in Metropolis, Illinois, (on our way back from Orlando) just to see the 20-foot Superman statue. Along with the statue, there is a Superman store in Metropolis. The store has a lot of Superman memorabilia and a small Superman Museum. 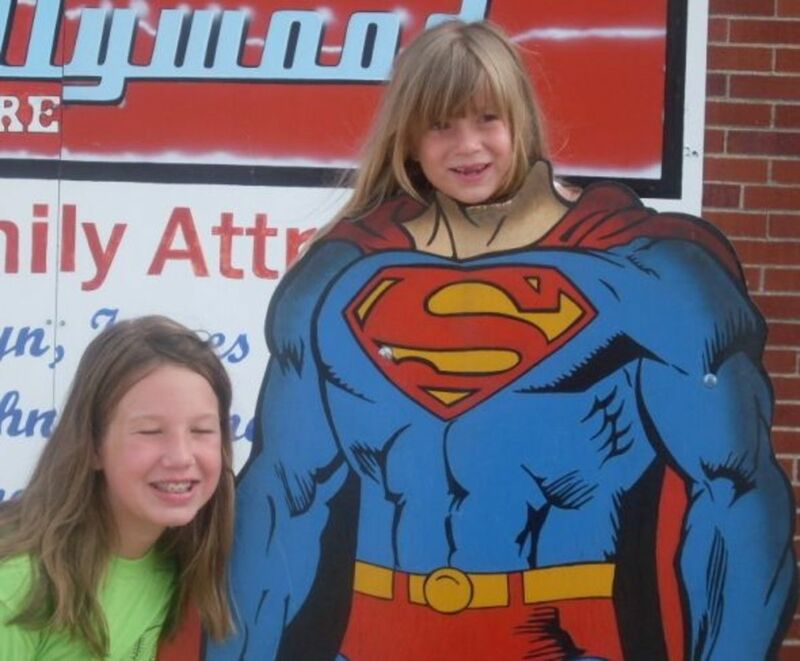 Every second weekend of June is devoted to the annual Superman celebration. The current website shows a picture of President Barak Obama posing with Superman. Metropolis, Illinois, is located on the Ohio River on Interstate 24 just north of Paducah, Kentucky. The casino in Metropolis is not too far from Fort Massac. If I were the Metropolis Chamber of Commerce, I would have a statue of every superhero and a store for each. Who wouldn't want to visit the Wonder Woman store or a store dedicated to Aquaman, Batman and Robin, or the Green Lantern? Regardless, the Superman statue and store were well worth the stop in Metropolis, Illinois. Giant Superman in front of Metropolis, IL City Hall. 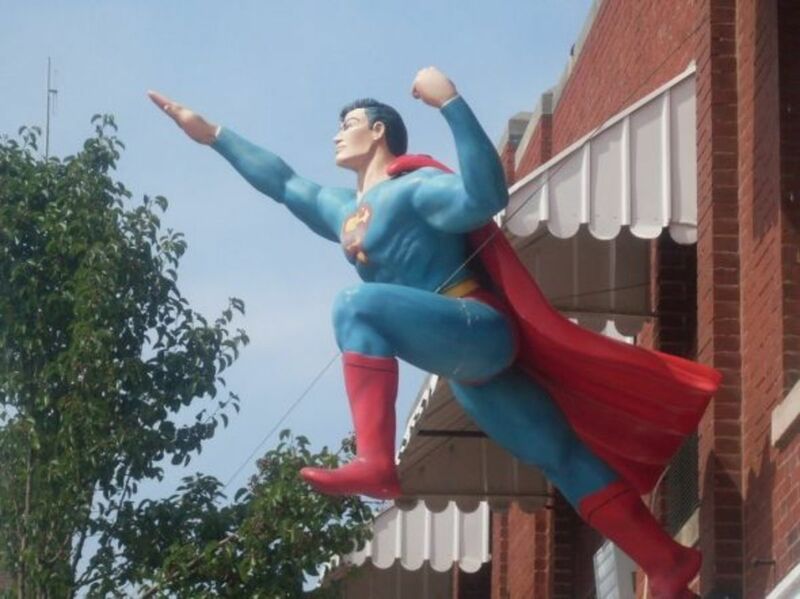 Another Superman statue in Metropolis, Illinois. 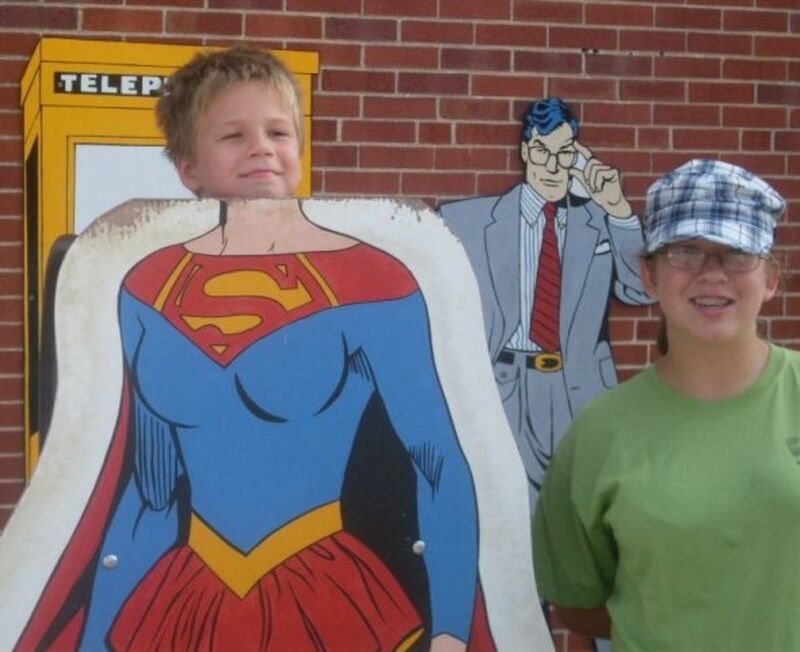 Clark Kent and Lois Lane in Metropolis, Illinois. 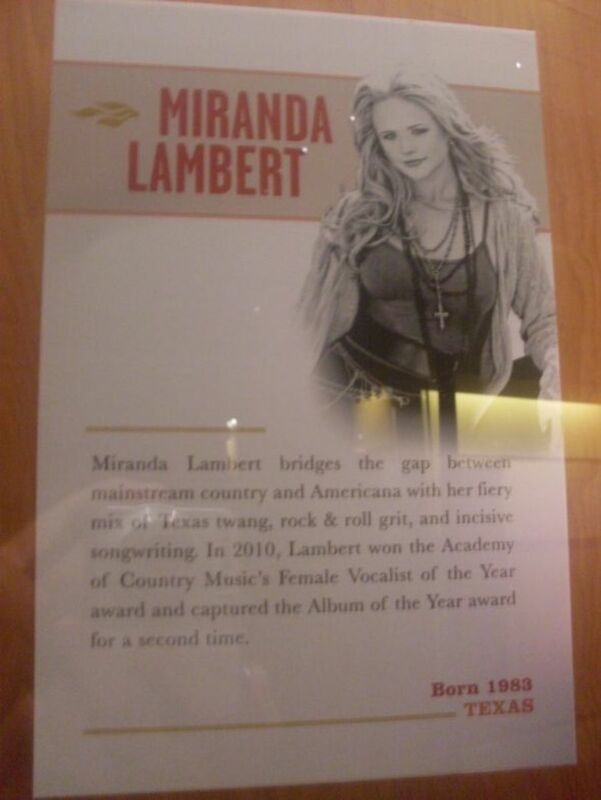 In 2012, on our drive to Orlando, Florida, we stopped at the Country Music Hall of Fame. 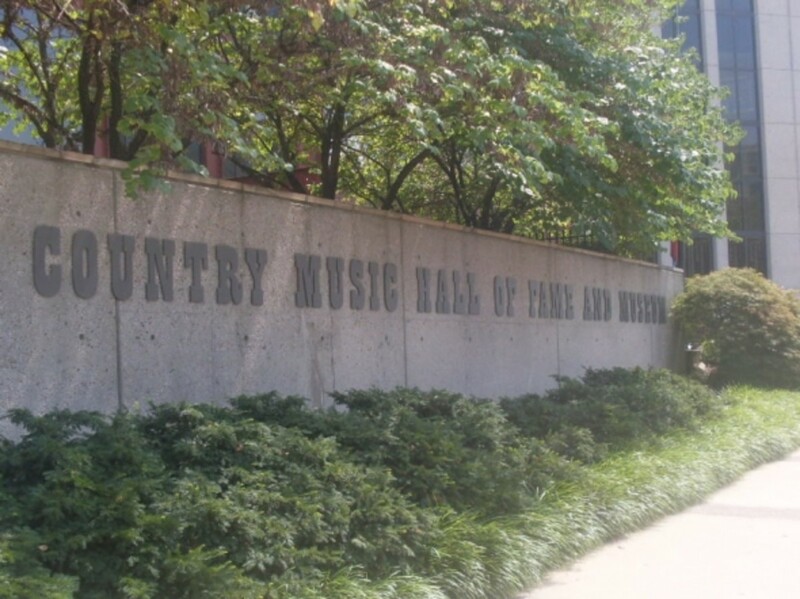 We are a family of country music fans, so stopping here was another no-brainer. It took us about two hours to explore the Hall of Fame. Without kids, we probably could have taken another two hours. 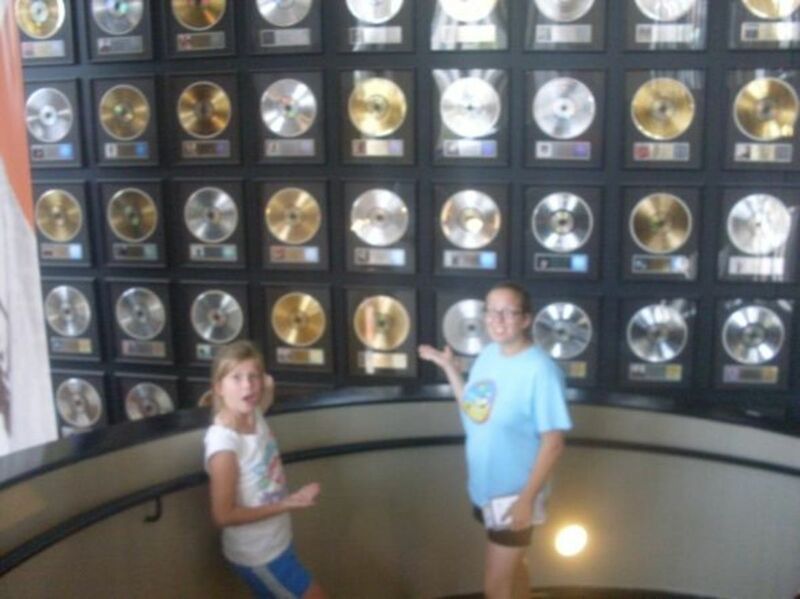 During this trip, we happened to be at the Hall of Fame during the Taylor Swift exhibit, which was just awesome. 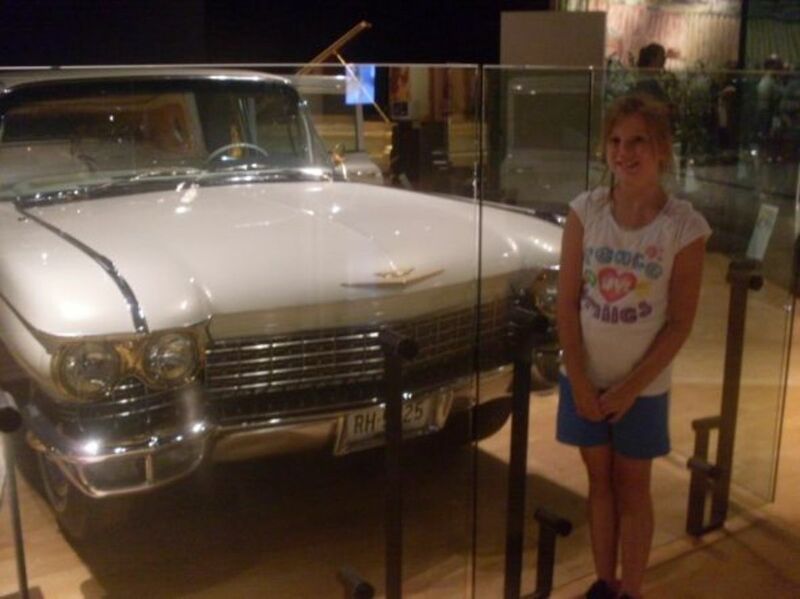 The Elvis Presley Gold Cadillac is a must-see, along with the silver dollar car. 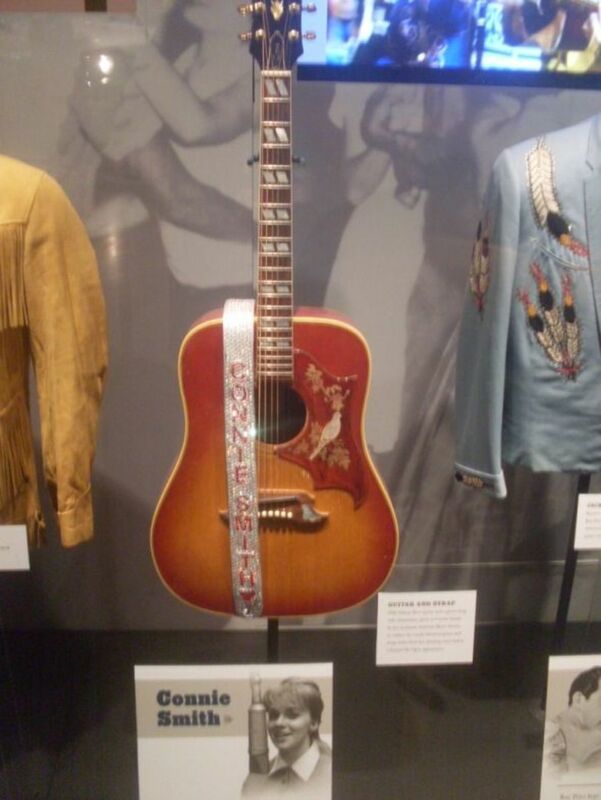 Seeing the evolution of country music from radio to television was fascinating. 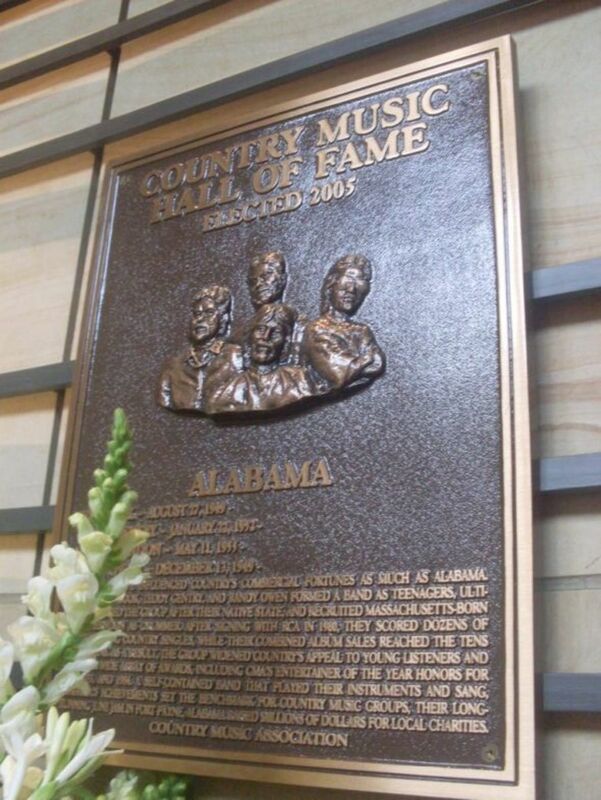 The famous Hall of Fame had a great montage of country music stars and included the evolution from starting as a small act in a show to becoming the whole show (such as "Hee Haw" and "Donny & Marie"). 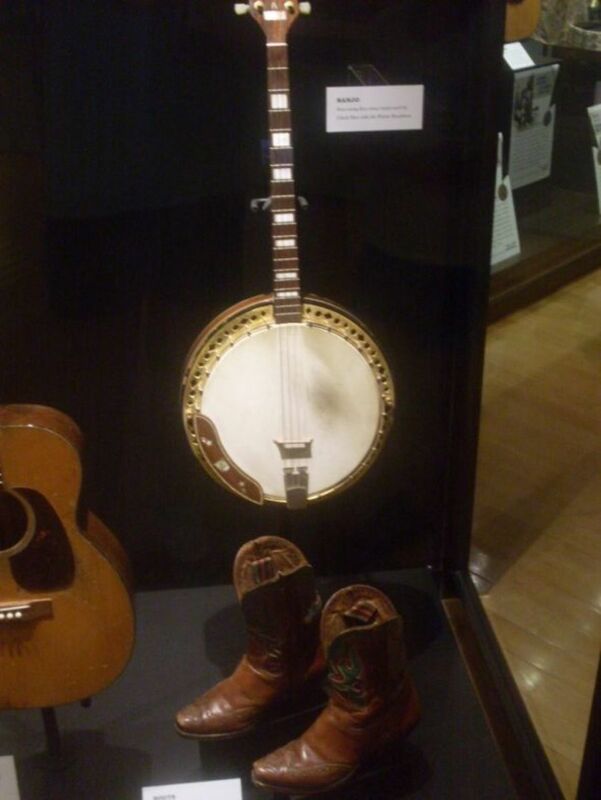 For country music fans, this is a must-see on the way to Florida. 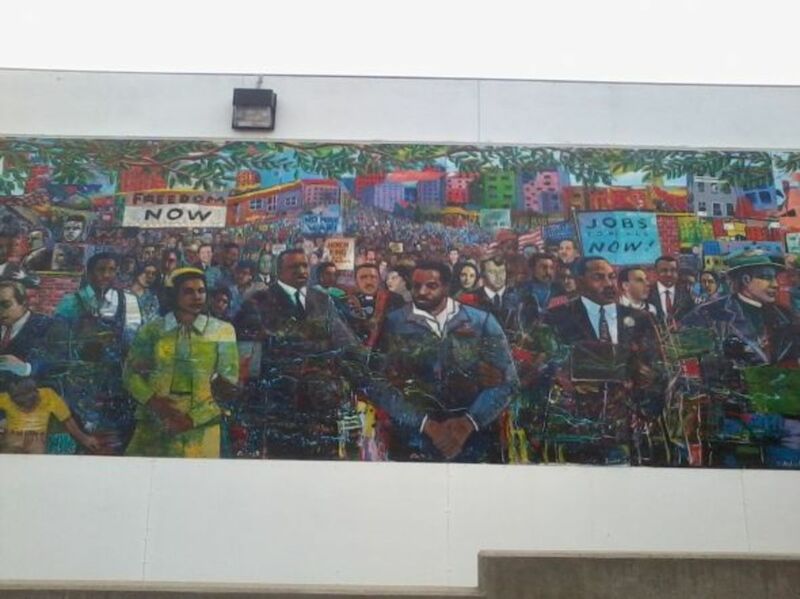 In 2012, we also stopped at the MLK National Historic Site in Atlanta, Georgia. 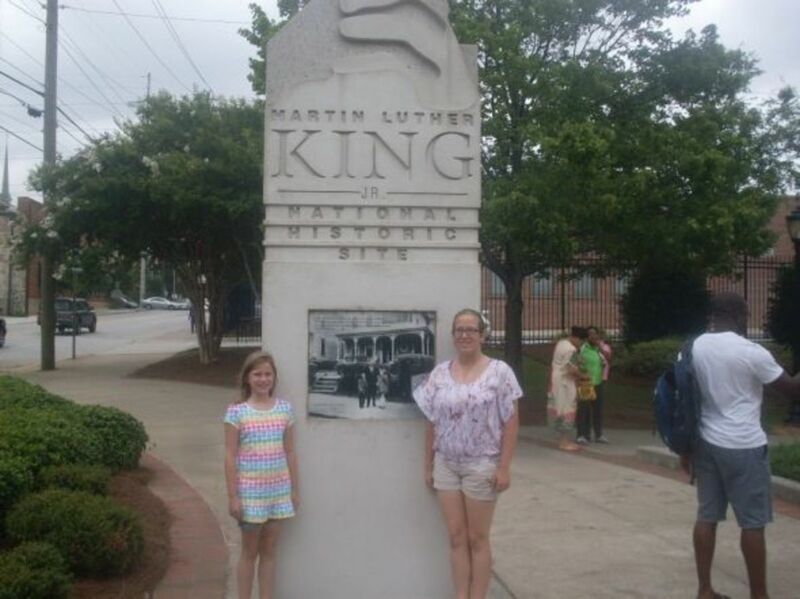 On the site is the childhood home of Martin Luther King Jr. and the Ebenezer Baptist Church, where Dr. Martin Luther King Jr. preached along with his father and grandfather. 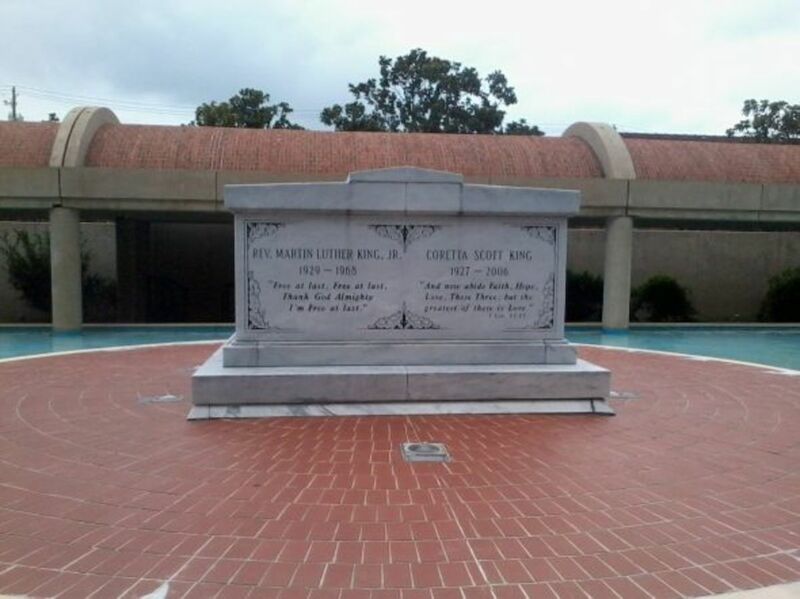 Also on the site is the tomb of Martin Luther King Jr. and Coretta King Scott. 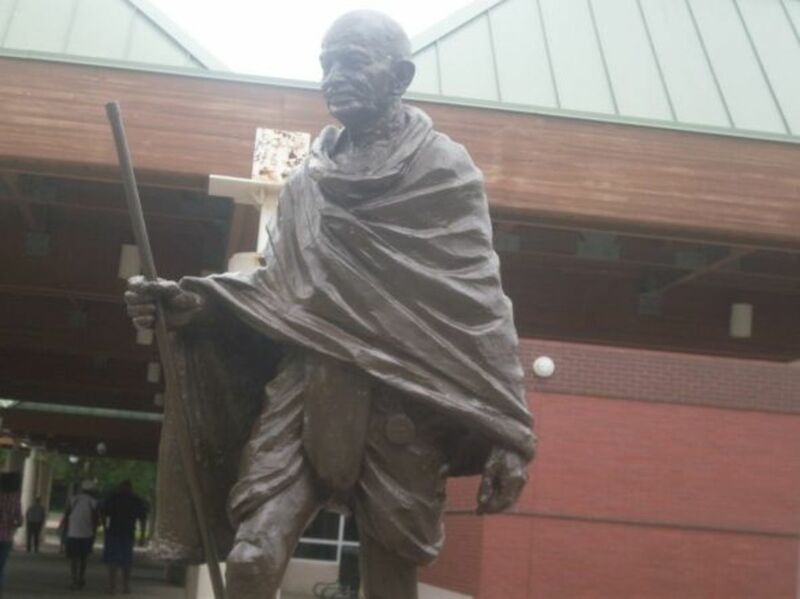 When you first walk into the complex, you are greeted with a statue of Gandhi, and come to learn that Martin Luther King Jr. studied peaceful demonstrations under Gandhi in India. 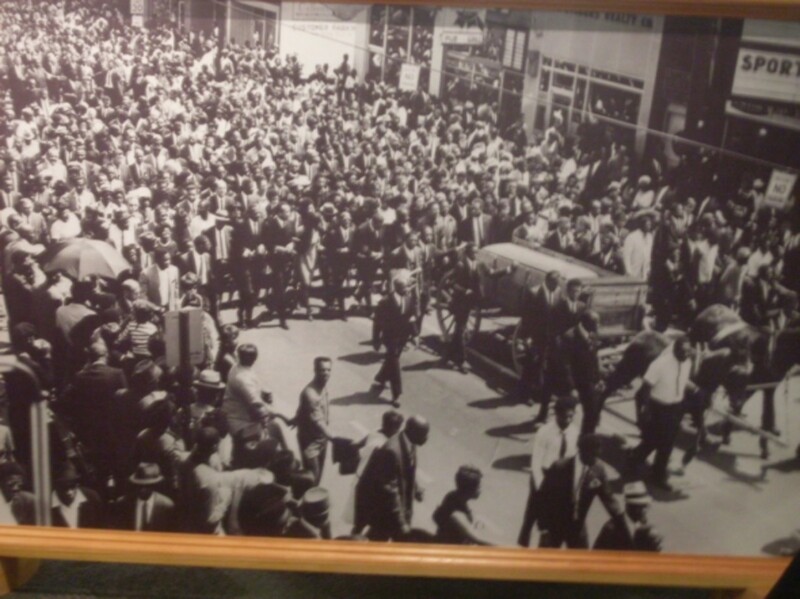 The visitor's center is a great place to see the timeline of when Martin Luther King Jr. started his demonstrations, up to his untimely death and funeral procession. 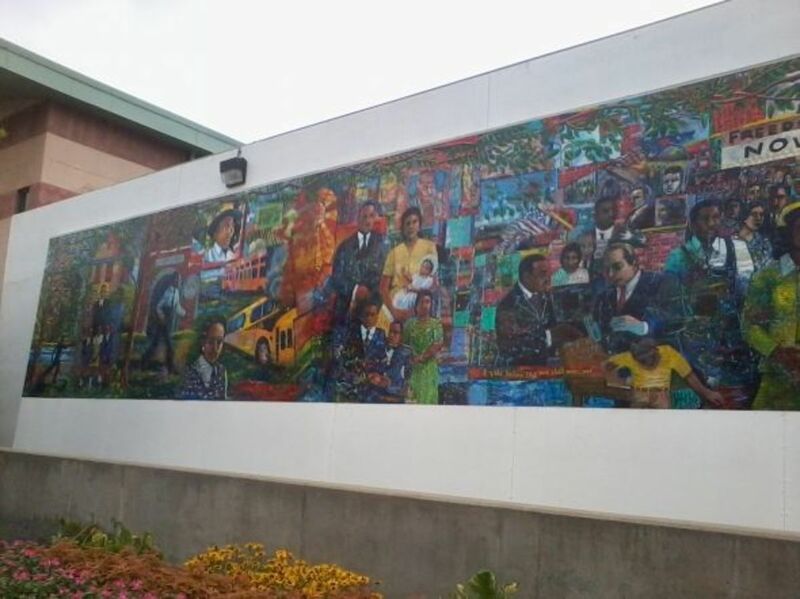 As we travel, we are always looking for something unique that you don't find at every exit of the highway. Just over the Tennessee line in Calhoun, Georgia, we found a store that sells over one hundred flavors of popcorn called Popcorn Haven. Once at the store, we tried the dark chocolate popcorn, the white cheddar popcorn, and the cola popcorn. The cola popcorn was my personal favorite, as the flavor reminded me of the cola bottlecaps. My kids, however, enjoyed the chocolate popcorn. The popcorn was excellent and with 97 other flavors to try, we decided we would be stopping here again. We are no rookies to popcorn, as my son has been selling boy scouts popcorn, and I have been the pack's popcorn kernel for the last two years. Popcorn Haven was an exciting stop for us both. I have concluded that my family and I are animal people. As such, Sea World is probably our favorite place to visit in Orlando, Florida. Between the shows and the rides, it is a fantastic experience. We had "Dinner with Shamoo" one evening, which is a great dinner show experience without having to leave the park. I highly recommend it! My daughter looking happy as we watch Shamoo at Sea World. We have visited three parks in Disney World and have never stayed on site. The three parks we visited were Magic Kingdom in 2008, Animal Kingdom in 2009, and Hollywood Studios in 2010. Being animal people, I would have to say Animal Kingdom is our second favorite attraction in Orlando, Florida, with Hollywood Studios being our second favorite park. For the younger kids, ages 2 through 8, Magic Kingdom would be my preferred choice. Disney really knows what they are doing with the Fast Pass system. It's an excellent solution for those long lines. Another solution for the long lines is pin trading, so make sure to invest in a pin album and stock up on some pins. My daughter enjoyed this book and said it is a must-read before visiting any of the Disney World parks in Orlando, Florida. 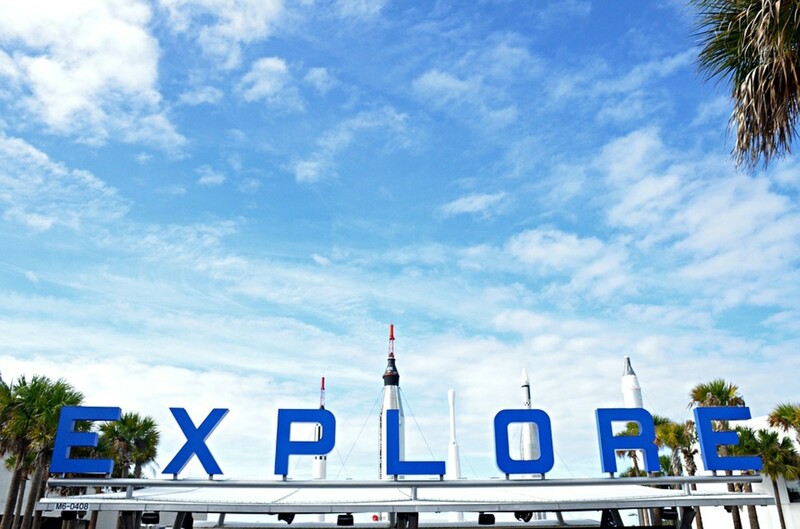 The Kennedy Space Center is probably my third favorite attraction near Orlando, Florida. We took buses out to see the launch pads, and the Apollo spacecraft is just sensational. Don't miss the Launch Experience! The space center as a whole was lots of fun for the entire family. Overall, we have visited two beaches in Florida—Daytona Beach, since we wanted the experience of driving on a beach, and a beach just south of Sebastian Inlet State Park. As for the kids, they simply love the ocean and can be easily preoccupied with the sand, the waves, boogie boards, swimming, and looking for seashells. If you like crowds and people watching, Daytona Beach is for you. If you don't like crowds, travel south of Coco Beach down 1A and pick a beach. The beach we went to was on 1A just after Sebastian Inlet State Park. There's a small public parking area with beach access. We had a great time at each park, but it seems as if the parks are geared towards folks who are willing to spend the extra money to stay at the Universal resorts or buy the Express Passes. Definitely factor in the Express Pass into your budget. I wouldn't bother visiting these parks without it. Disney definitely has a leg up with their FastPass system. I think my kids liked Islands of Adventure, whereas I preferred Universal Studios. So, I guess I couldn't pick just one as a personal recommendation. Both are great! Where's a Fun Place You Have Stopped Along Your Route? We Could All Use a Little Help! Great lens. I'm hoping to do a major road trip with two kids in the next year or so. I guess I'd better start planning it. I love vacation trip by car, with my husband we went from Oklahoma City to Santa Fe, we made a lot of stops visiting interesting places. I love to travel. I remember growing up on road trips we use to see who would see Volkswagen bugs. @OrlandoTipster: That's a great question since you need to do things sitting down and which hold attention for a long time. The DVD player is great because besides movies you can put educational shows on the player. Portable Video Games are a great option as well, but I'm thinking you are looking for something without a screen. A search for games in the car will yield a lot of results. I remember searching for different license plates and following our progress on a map. Another option is books, if you get carsick like me, then books on tape may be an option. What would recommend for kids to do on long drives besides to dvd players? We once drove from Western BC to Northern Arizona and then back again with our young daughter and the family dog. It was a trip of a lifetime - I love road trips. This is definitely a learning trip for the kids, and you presented very well. My husband and I did a road trip from Michigan to Yellowstone National Park, down to Jackson Hole, Wyoming and back. So much to see in the USA. I love America. I loved reading about your trip. Thanks. Family Hotel is the best for travelling with the family. I did a trip from Toledo, ohio number of times, but never stopped on those places. Maybe I'll have to retake the trip soon. thanks for the info. Our family always stopped for caves. Mammoth caves was worth its own full day, and was a nice in-between distance for a driving break. My kids love the portable DVD player, I don't know what we would do without it! We really enjoyed your site. My family lives in NWI and we are going to take your advise and stop at Elijah Mountain on the way to Orlando...Thanks!!! What a great website! Thanks for all the helpful advice. We are planning on driving to Orlando this year. We're from Joliet so the distance will be about the same. Living in Florida we've covered just about all of it at one time or another. I agree about the Garmin NUVI as we love ours. Mad Maps even makes a downloadable guide for "scenic tours" and out of the way roadside attractions. Great fun for travelling if you're not on a strict time schedule. 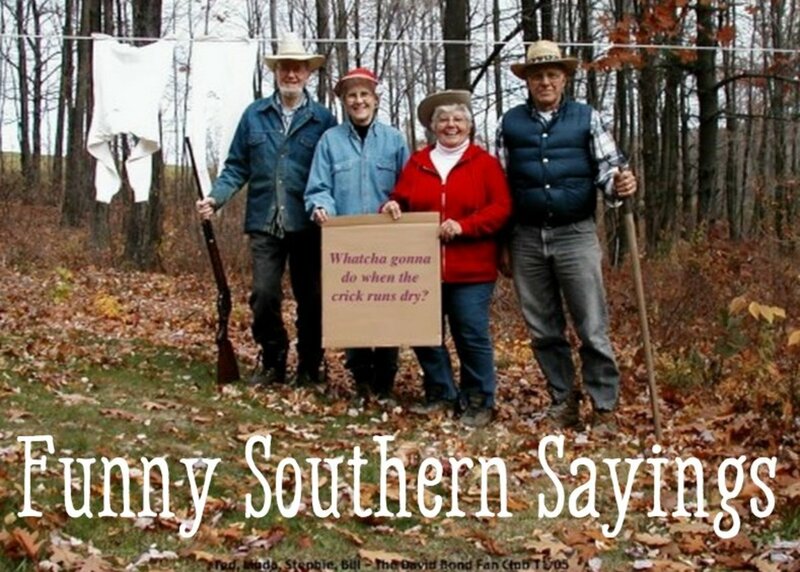 Well, I live in Florida, and did when I was a kid, over 50 years ago. We always loved South of the Border, but Monkey Jungle and my favorite Alligator Farm are long gone. I always loved the drive, which was from Cleveland, OH to Florida. 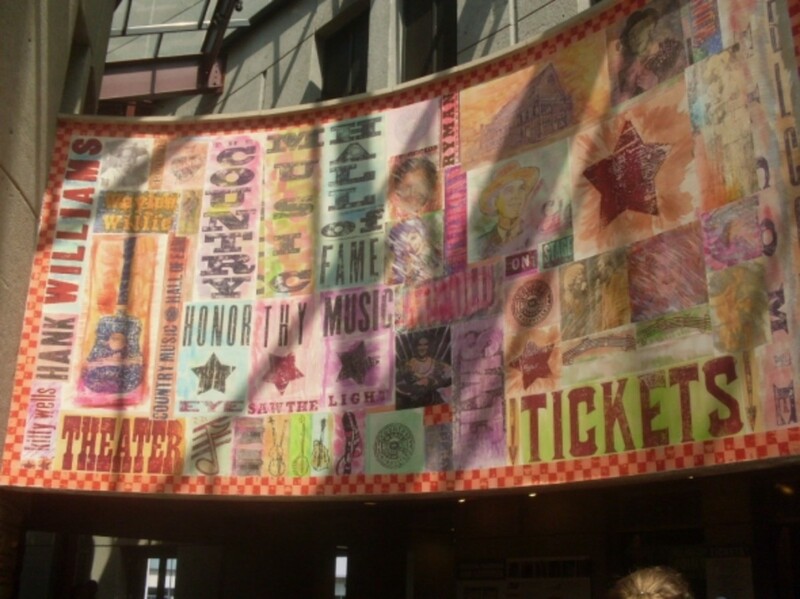 In St. Augustine, there is a museum I loved, but you hit some places I haven't been. Love the falls photos! Congratulations on a well-deserved LotD! 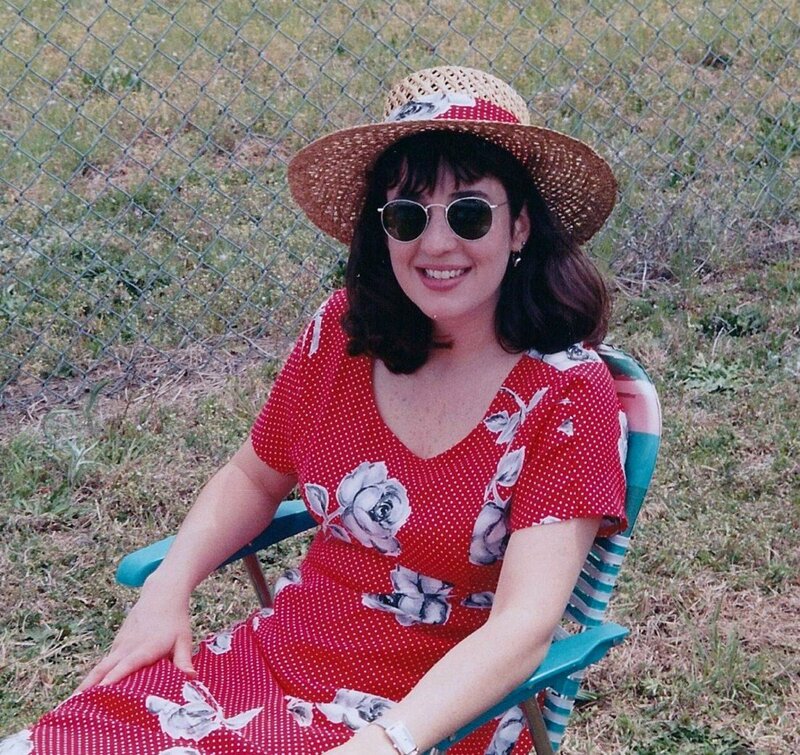 I was young when we went to Florida. We drove from Ontario, Canada. 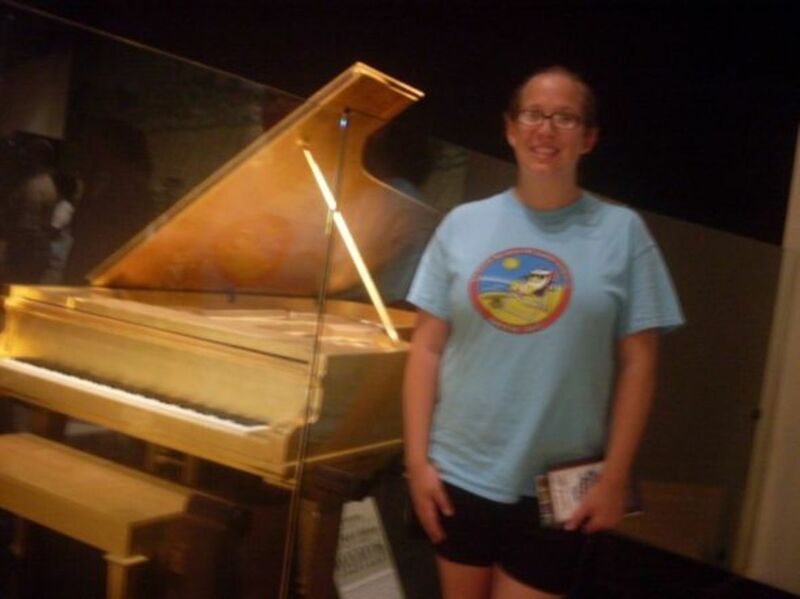 I think I enjoyed the Smithsonian Institute the best. Congrats on getting lotd. Looks like everyone had so much fun!! Congrats on LOTD. Nicely done, good documentation. 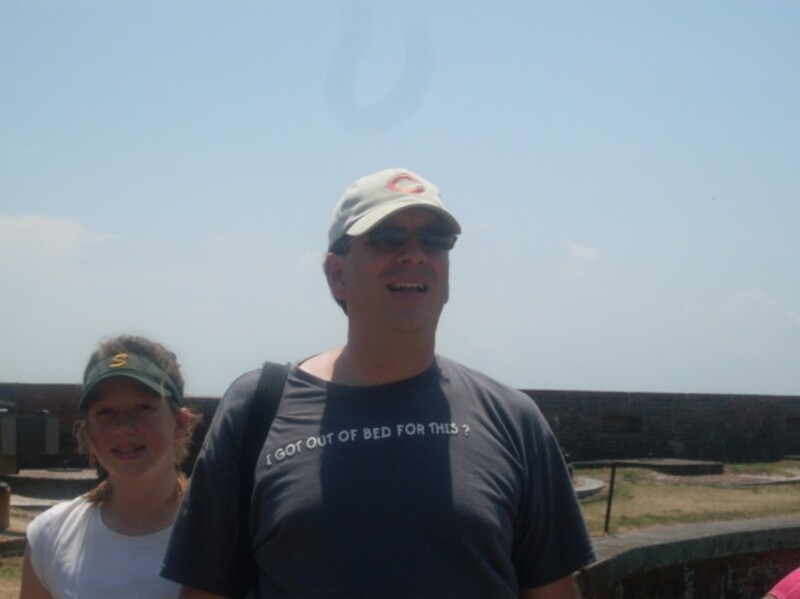 I tell people all the time, traveling with kids (and vacations in general) should be educational - great job. Love, love, love this lens! Brought back memories, too, since I used to live not far from Naperville (West Chicago) AND I grew up less than an hour from Ruby Falls -- yet never visited it, can you believe that?? Your daughter's duckbill photo is a hoot!!! Thanks for sharing . . .
i liked this lens. very cute pics. @ILoveLegosToo: Thanks for the advice. Traveling with kids can be great fun with a little pre-planning. Depending on the age of the child...it is always good to be ready with some car games...like car bingo where they mark down things they see along the way...that one is fun for all ages. I also try to do a little research about the towns and states we will pass and at various stops impart the information to the kids. Every new state we pass they learn state motto, flower, bird, etc. Thanks for a great lens. @okie_dokie: Certain parts. My kids were 5, 7, 10, and 12 on the driving trip. The DVD player was a must. I think GEM mining is great, a lot of oohs and ahhhs. 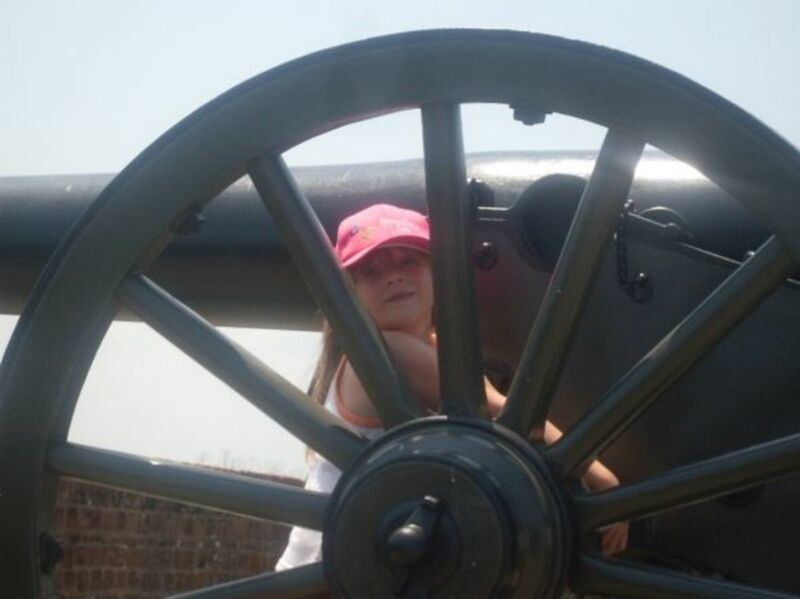 Pulaski Fort has a lot of space to run around and explore and climb on the cannons and such. We spent the night in Metropolis and went downtown that morning. 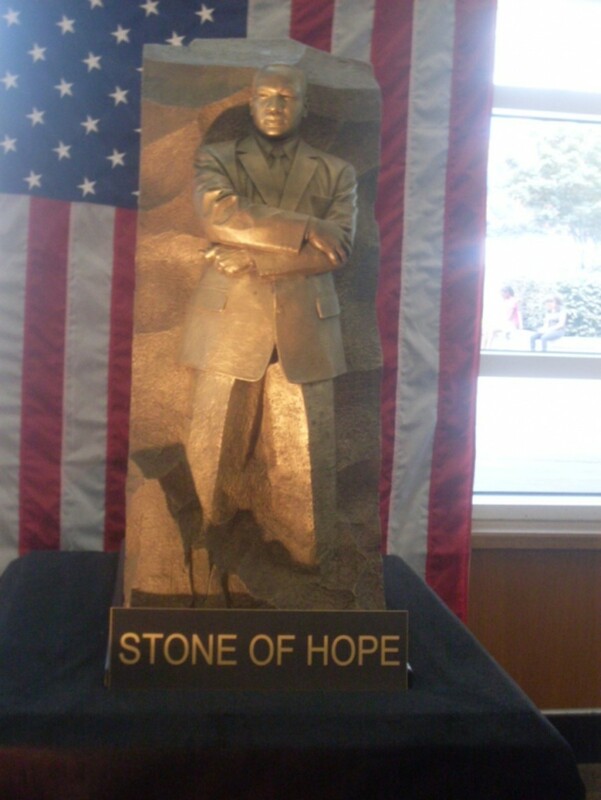 With the 3 &amp; 4 year old, it will be a quick 10 minutes to see the statue and a couple of other things and you're done. I think the Superman store wouldn't amuse them as much as it did me and my 7 year old son. Ruby Falls is cool and takes about an hour to see the falls. A lot of neat rock formations which me or may not entertain a 3 &amp; 4 year old. I am also near Chicago. Would you recommend this road trip with a 7, 4 and 3 year old? Me and my family have been planning a road trip to Orlando. I do hope we could do that this year and make sure that we do drop by the places you have been to. I love long road trips, we've taken quite a few. I can't believe I've never seen, or even knew about the giant superman. We've driven through Paducah plenty of times. @Faye Rutledge: Thanks partybuzz. I think Metropolis missed the boat by focusing on Superman. They should have stores and status for Wonder Woman, Aquaman, Batman and Robin, Fantastic Four. the list could go on and on. My son attended the Superman Celebration this year. He went with a friend who was actually a guest there (Jimmy Valiant). They had a great time, especially since my son is a long time comic book fan! Great lens! Congratulations on LotD! You're super! we are planning to have a long trip going to orlando florida by the end of this month, i will follow your trails here. thank you i got more ideas how to go there with 4 kids and not being bored just driving.